At WISE, we talk a lot about the importance of self-care, or the providing of care by you and for you, and its importance in improving your compassion resilience, or CR, and maintaining your overall well-being. Click here to read WISE’s previous post about self-care. One common form of self-care that is practiced cross-culturally is meditation, or the practice of focusing on a particular activity, object or thought to achieve inner calmness and clarity. 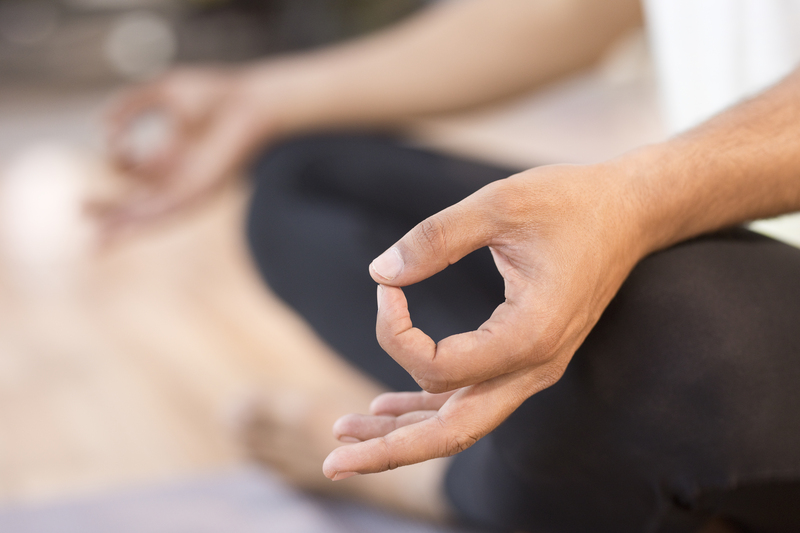 There are many types of meditation that vary in skill and technique, including chakra, mantra, yoga, and Zen, among others. A more complete list can be found here. One type that has been highly popularized due to its confirmed health benefits is mindfulness. The practice of mindfulness can be seen in a brief, animated video which can be found here. According to Mindful, “mindfulness is a natural quality that we all have… When we practice mindfulness, we’re practicing the art of creating space for ourselves — space to think, space to breathe, and space between ourselves and our reactions.” Mindfulness not only sharpens our attention, but also strengthens our feelings of compassion, empathy, and gratitude. This is part of why mindfulness is so helpful in improving and forming a foundation for CR. Just a reminder that CR is the ability to maintain our physical, emotional, and mental well-being while responding compassionately to people who are suffering. Read more about CR here. Mindfulness not only improves our CR, but also our overall health. If practiced consistently, it can relieve stress, lower blood pressure, reduce chronic pain, and improve sleep. According to Mindful, it can also aid in treating various mental health conditions by promoting “stress reduction, attention and emotion regulation, reduced rumination” and the like. In fact, mindfulness has seen such positive results that it is often combined with a type of psychotherapy known as cognitive behavioral therapy, or CBT. Help Guide says that “this development makes…sense since both meditation and cognitive behavioral therapy share the common goal of helping people gain perspective” on harmful and hurtful thoughts. There are hundreds of mindfulness techniques and ways to become more present in our daily lives. Mindfulness is something we can all develop and benefit from, especially with regular practice. If you’d like to try mindfulness on your own, here is one place to start. These recommendations can also be found on Mindful. Sit down. Choose a position in which you are comfortable and relaxed and in a place that is calm and quiet. Set a time limit. If you’re new to this practice, it’s helpful to choose a short time, such as 3 or 5 minutes. If you’d like, you can also download a free app, such as Headspace or Stop, Breathe, and Think, to serve as a guide for your practice. Feel and focus on your breath. Follow the sensation of your breath as it goes in and out of your body. Notice when your mind has strayed to other subjects. When you do, don’t judge yourself for these thoughts or obsess over their content. Acknowledge their existence and then return your attention to your breath. Another common mindfulness practice is called the body scan, which allows you to focus on one part of your body at a time, heightening your awareness of your body’s sensations. Click on the links below to watch videos created by Elisha Goldstein, a renowned mindfulness author, who will lead you through this exercise. In summary, mindfulness, and meditation in general, are pervasive techniques that continue to grow in popularity, especially as we look for additional ways to maintain healthy and well-rounded lifestyles that emphasize the importance of mental health alongside physical health. Many who practice mindfulness find it an incredibly useful tool in improving CR, practicing self-care, and maintaining their overall well-being. But there is no one way to practice mindfulness. Find what appeals to you and helps you stay focused on the present moment!